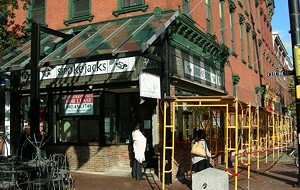 When Smokejacks opened in 1997, Burlington eaters rejoiced. Owners Leslie Myers and Don Kolp, both formerly of NECI, committed to purchasing produce from Vermont farmers, and served up an artful selection of artisan cheeses that delighted patrons’ palates. The eatery, which eventually became Myers’ sole property under the corporate name Foodsense, Inc., was “localvore” before there was a word for it. But last Monday, the restaurant closed unexpectedly — and for good — shocking patrons, purveyors and staffers. Passers-by learned of the restaurant’s demise from two big “For Lease” signs in the windows. Inside, the tables and chairs were arranged as though the restaurant might just open for dinner. But the real story of the eatery’s undoing is much more complicated than the Free Press report suggests, according to Smokejacks vendors and employees — and Myers herself. Floral Artistry owner Alison Ellis delivered flower arrangements to the resto for three-and-a-half years. As of press time, she hasn’t received a final payment. “I was in contact with the manager who tried to get me a check, but it is still unresolved,” she explains. She declined to say how much the restaurant owes her. Case in point: Just one brick-lined block up the street from Smokejacks, Leunig’s Bistro has “had the best summer . . . since we opened,” General Manager Bob Conlon enthuses. “I’m serving 500 people a day.” He attributes his restaurant’s success to aggressive advertising and a willingness to offer up coupons and deals. Even in Richmond, where the downtown bridge has been closed for more than a month, upscale eateries are thriving. 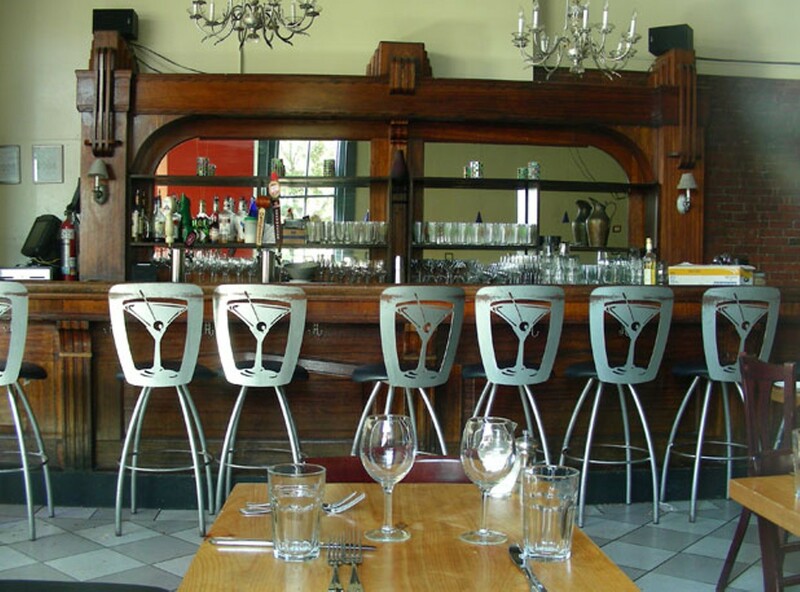 According to Kitchen Table Bistro bartender Andy Bard, “We have been way up. Things have been really, really good for us.” Like Smokejacks, the restaurant is known for its long list of local suppliers. Entrées top out at $34. 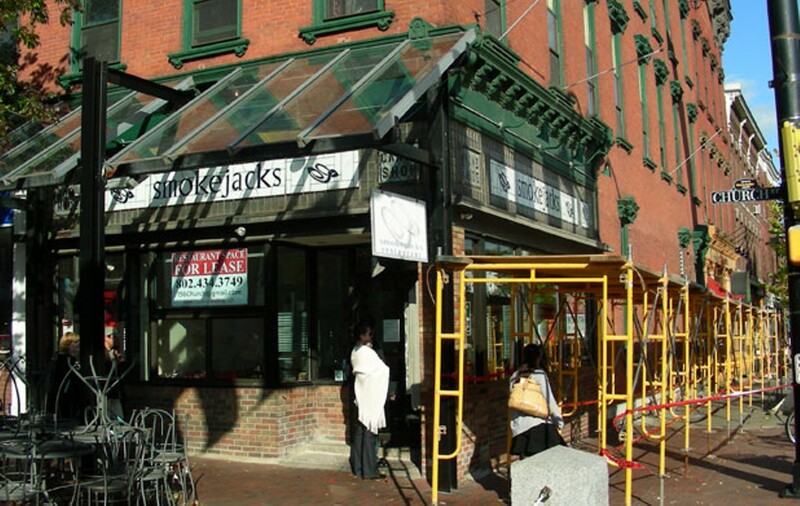 Coincidentally, when Smokejacks opened in 1997, Bard was the general manager. He concedes that the KTB has some advantages over Smokejacks: With four dining rooms and a function room, it’s able to handle a large number of corporate accounts; and owners Steve and Lara Atkins are building equity with their mortgage payments, unlike Myers, who rented. According to public records, Smokejacks’ money problems go back at least as far as 2001, when the State of Vermont executed its first tax lien against the business. Three more followed, in 2002, 2003 and 2008. The IRS came knocking in 2006, 2007 and 2008. How much did the restaurant owe? The “unpaid balance of assessment” on the most recent federal tax lien, dated July 31, 2008, was $17,657.57. The state’s was even larger: $32,465.16, filed on April 23, 2008. Meanwhile, in 2002, Myers took up a hobby that was both time-consuming and expensive: competing in triathlons. As Smokejacks dug itself deeper and deeper into a hole, she spent more and more time training and traveling. And winning: In October 2005, she was named the “fittest CEO in the world” among women competing in the CEO Ironman Challenge World Championship in Hawaii. While some of her employees blamed the sport for Myers’ increasing inattention, Myers saw it as a healthy way of coping with her problems. “It’s a terrific outlet for stress,” she says of athletics in general. She claims that she didn’t avoid the restaurant because she was swimming and biking, but that she was already trying to shut out her worries by not going to work, and the exercise was a welcome distraction. When the fire decimated parts of the building last year, the biz lacked “proper insurance,” Myers confesses. Myers didn’t delve into specifics, but she acknowledged that there wasn’t always enough money in the bank. “I think there have been times that checks have bounced . . . When things are starting to get tough, that’s going to happen.” Since her sister took over the restaurant, she says she hasn’t been privy to those details. Even though the cash flow could be turbulent at Smokejacks, many vendors were proud to be on its list of local suppliers, including Mara and Spencer Welton of the Intervale’s Half Pint Farm. Mara praises the string of chefs who ran the kitchen at Smokejacks. “We always felt extremely fortunate that every single one of them was willing to do business with a very small farm,” she remarks. But she also acknowledges that early on in the business relationship, Half Pint’s payments occasionally fell by the wayside.